​Former Liverpool forward Dirk Kuyt has heaped praise on midfielder Georginio Wijnaldum, adding that the Dutchman is a vital part of the Reds' squad. 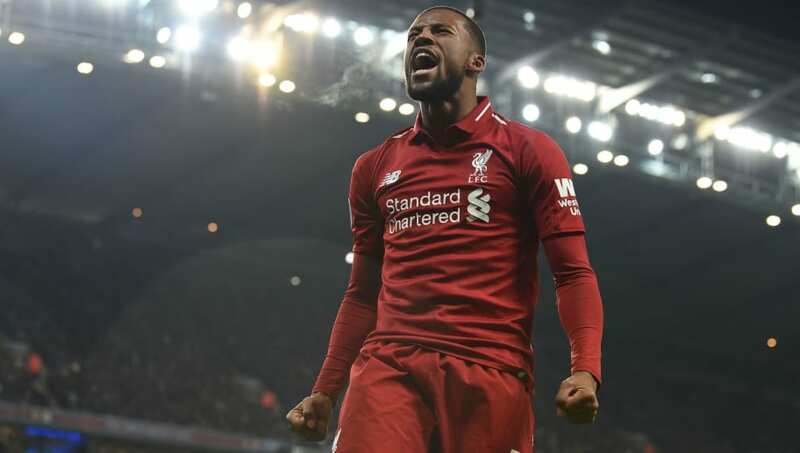 Wijnaldum has been a regular part of Jurgen Klopp's lineup this season, but recently has fallen down the pecking order as Jordan Henderson has been pushed further up the field. However, writing for ​De Telegraaf, Kuyt insisted that the 28-year-old has dealt with his recent omission from the squad perfectly. He wrote: “What I also like is the fantastic mentality of ​Georginio Wijnaldum. Before the kick-off [of Sunday's 2-0 win over ​Chelsea] I saw his eyes. “You felt the disappointment that he was not playing, but when you see how professional he was before, during and after the game, you get more admiration for him. That’s how you should be a pro. "The statistics of the midfielders were shown before the game. Gini has played more than 3000 minutes already this season. The next midfielder is behind on about 2000 minutes. That means that he has played the most by far. At the moment, Jurgen Klopp is choosing others, also because Gini is tired and big competitions are coming up. “The final sprint becomes so important. Yet Gini deals with that in a great way. He falls in, he does his work and celebrates with his fellow players as it should be. A real team player." Wijnaldum replaced ​Naby Keita shortly after the hour mark in Sunday's victory, and helped Liverpool defend their lead. He has missed just three ​Premier League matches this season, and has also featured in eight of the Reds' nine ​Champions League games. With Klopp's men still competing for glory on both fronts, Wijnaldum will likely have plenty of opportunities to regain his place in the starting lineup, in what could prove to be a hectic months for the league leaders.